Peel clementine, and cut in half. Melt 1 TBS butter and brown sugar in a small pan over medium-high heat. Divide butter/sugar mixture between two ramekins and place clementines cut-side down on top. Melt remaining butter and add to a small bowl with half of 1 beaten egg, granulated sugar, and vanilla extract. Stir to combine. Add in flour, and stir just until incorporated. Pour batter over clementines, place ramekins on a baking sheet and bake until cakes are set, about 20 minutes. Remove cakes from oven and allow to cool for 2 minutes. 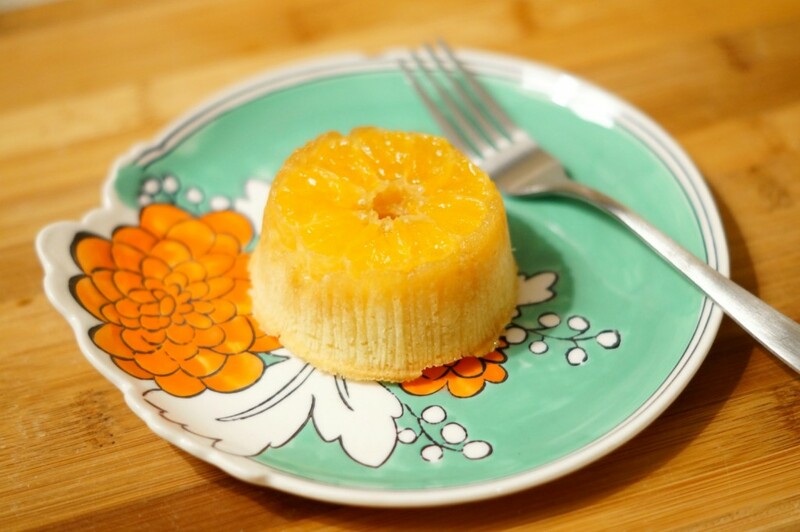 Carefully remove cakes from ramekins and serve clementine side up. Be sure to check out my full review of Plated here, and sign up for 4 free meals of your own here.